40. 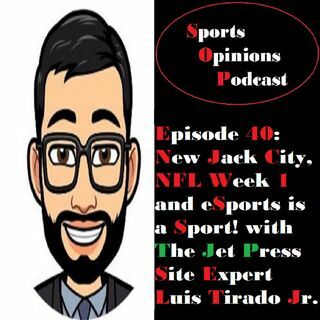 New Jack City, NFL Week 1 and eSports is a Sport! With guest Luis Tirado Jr.
Luis Tirado, Jr. He's an excellent speaker, sportswriter and editor!